Do you have the wordsmith abilities of a reincarnated Shakespeare? Good for you, but it’s not enough. Getting people to the bottom of the page is as much about your skill with presentation as it is about your gift for writing. To put it simply, your content needs to be easy to read as well as artfully worded. We call this readability. It refers to how easy and even how pleasurable a particular text is to read, and it’s almost an entire branch of psychology unto itself. The readability of your content is essential to your visitor being able to easily understand and digest the content. 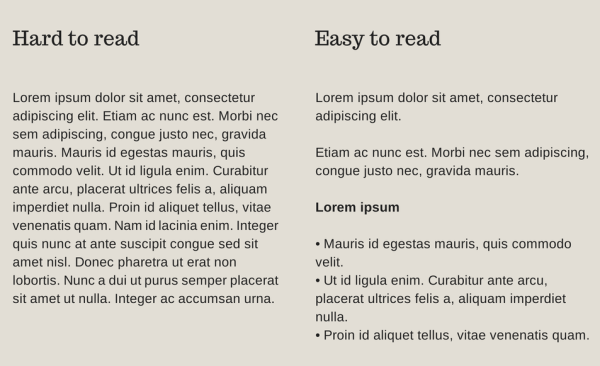 If readability is poor, you alienate customers. If its jargon is too complex, your message is lost in translation. If the text is tough to follow, visitors quit following. If it’s too small, readers can’t read the message. 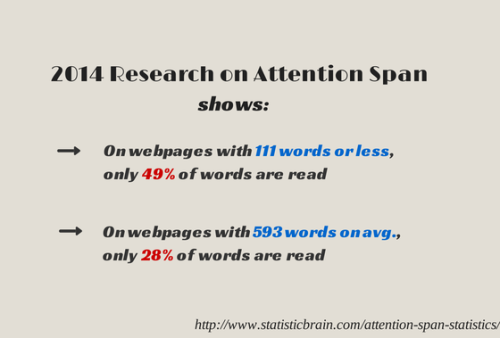 All of these factors affect the way a reader can engage and react to your content. All of which could have a large impact on your sales, readership and community. So how can you make your content more readable? Let’s take a look. 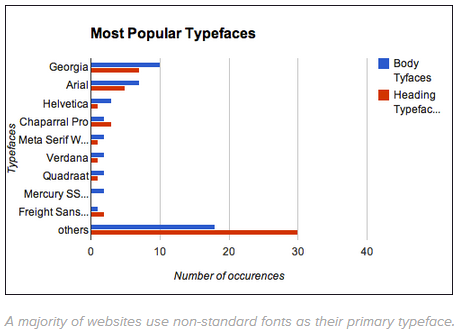 Your first line of defense when it comes to enticing your readers is typeface. If you take nothing else away from this article, remember that one of the simplest change you can make to a piece of content, and the one that can most successfully improve its first impression, is your choice of typeface. The question of font size might be changing, but we’ll get to that in just a second. For the most part, you’re going to be better off (and so will your readers) if you choose a larger typeface for whatever it is you’re writing. 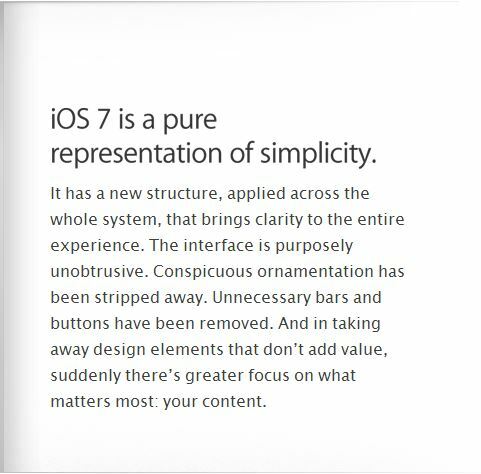 Something like 14 or 16-point font would probably be the best choice for most content. So why might this be changing? Quite simply, our screens are getting better. A lot of computer monitors out there – to say nothing of our mobile devices – now pack more pixels per inch than the human eye can even see. What this means is that we can use smaller and smaller fonts and the words will still be crisp enough to read. That said, do keep in mind that these so-called “retina displays” are not yet the industry standard, at least for desktop PCs. As such, play it safe and keep using your larger typefaces, at least for the time being. In case you’re not familiar with the term, serifs are the little lines you see on letters in certain typefaces. Times New Roman has them; Arial does not. The serif vs. sans-serif debate has resulted in a number of studies, but I’ll save you the trouble of reading through them. The bottom line is that the jury is still out. For sans-serif fonts, Verdana and Arial come rather highly recommended, and they both have several variations to choose from. If you favor a more traditional serif-based typeface, Georgia might be what you’re looking for. Even so, popular opinion says that sans-serif fonts work better on websites – probably because it results in a cleaner-looking page. Those with the most strongly worded opinions have likely done their own A/B testing to see the effect it has on conversion; I’d encourage you to do the same. While typeface is the easiest change to make, organization might just be the most important. If you consistently publish monolithic walls of text and pass them off as blog posts, you’re going to have a bad time. Organization is a simple enough concept, but it covers a lot of ground. You’ve probably already put this into practice at least some of the time, but in case you haven’t, its value can’t be overstated. Sub-headings are essential for breaking up your text into more manageable chunks. It’s a well-observed phenomenon now, but very few people on the Internet actually read an article word-for-word. As such, you need to play to their tendency to selectively scan what they’re reading. Don’t take it personally; we all do it. Sub-headings inform your reader when you’ve begun to talk about a new topic or idea. It clues them in to how you’ve organized the content, allowing them to seek out the information they need the most, and skip over the stuff they don’t. Bullet points are great. You’ve probably read a lot of articles that rely on lists to get their point across, and bullet points are the best way to present that information clearly and concisely. For example: suppose you’re reading an article about a particular piece of equipment. 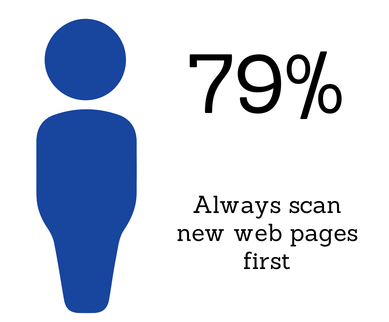 You don’t want to have to scan the entire thing to find product specs, do you? Neither does anybody else. Use bullet points to call attention to this important information. There’s a reason why books are shaped the way they are; it’s because somebody long ago took the time to find the ideal number of words per line. The same observations can be carried over to online content. The Baymard Institute recommends that you maintain between 50 and 75 characters per line. It really is a delicate balance to maintain; if the lines are too long, the reader’s eye will likely wander, even causing them to lose their place. If the lines are too short, the movement of the reader’s eyes will have to adopt an unfamiliar rhythm, potentially causing them to skip ahead. Color is more important than you might think, and it’s about more than just your typeface. You don’t have to be an artist to appreciate the importance of contrast. There’s a reason why all sheet music features black notes on a stark white background: because it’s extremely easy to read, even at a distance. Let that lesson from the musical world inform your color choices. Low contrast color schemes, such as dark text on a dark background, or light text on a light background, aren’t going to entice anyone to read your content. Say what you will about Apple, but they certainly have an eye for style. Though there have been a few dissenters, the latest update to iOS (their mobile operating system) has been well received. It’s noteworthy here because it makes significantly more use of whitespace than its predecessors did. It’s a bold move, so why take the risk? It’s simple: they wanted to put the focus on the content. You can do the same thing by providing spacious margins and fine-tuning the line spacing and distance between your paragraphs. What it really comes down to is the density of the content; the more comfortably it’s arranged, the easier it is to read. So far we haven’t said much about your actual word choice, but this is definitely an important note to end on. You probably heard it again and again as a grade school student, but run-on sentences are really not a great way to make friends. You’ve certainly noticed that when you’re speaking to someone in person, there’s a natural ebb and flow to how things are said; you never go too long without taking a breath. Online content is very similar. Longer sentences are more frustrating to read, just as they’re more confusing to follow in speech. 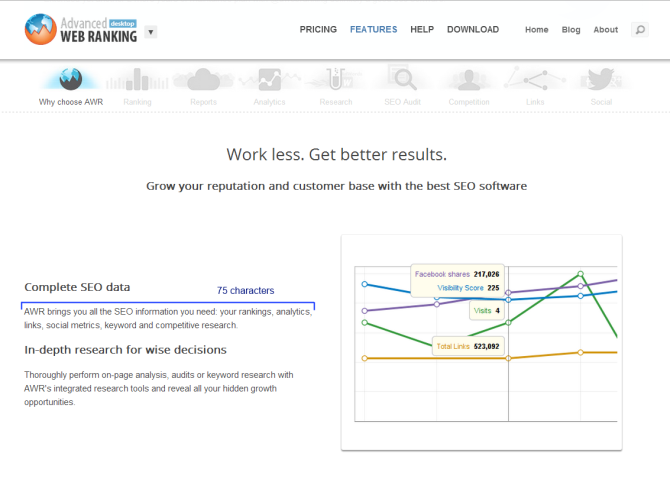 We already covered using sub-headings to visually break up the content on your page. An extension of that is to be mindful of the length of your paragraphs. 3-4 lines of text is usually ideal; anything longer than that begins to feel, at least unconsciously, like a slog to get through. Remember, we’re playing the psychology game here. Even better: try to vary your paragraph structures. Each paragraph should more-or-less deal with a separate idea, but there’s still plenty of room for variation and experimentation. Variety is the spice of life, after all; presenting your reader with 50 identical paragraphs isn’t a great strategy. This is hardly an exhaustive look at readability, but hopefully it clarifies some things that you may have been unsure about. If there’s just one takeaway here, it’s that the actual content doesn’t need to change that much; it’s all about presentation, and about convincing your readers that it’s not that much work after all to read through to the end. As with anything, though, individual results may vary; try switching it up a little bit and testing the results, one variable at a time. Chances are, you’ll hit upon a great combination that not only successfully engages your readers, but might even make the writing process a little more enjoyable.